When you shop with us, your support goes way beyond one small business. Small business Saturday means a lot to so many small businesses around the world. 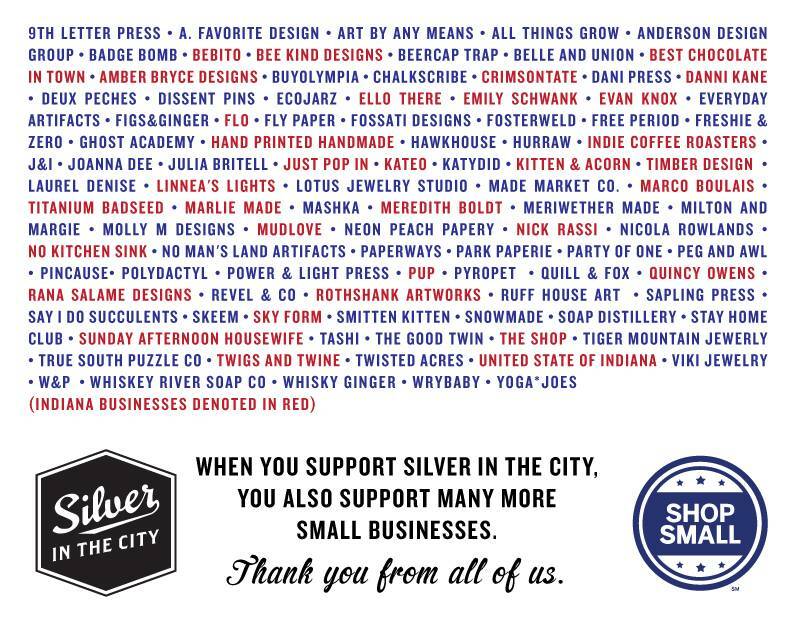 At Silver in the City, your support leads to our support of the many small businesses that create the clever goods with which we stock our shelves. We couldn't do it without them, or you. Thank you.